Remember those bet slips you threw away? Those horses you vowed to never back again? Well, don’t be so hasty in forgetting them entirely. There’s a lot of reasons why horses don’t make it at Cheltenham and have perfectly good careers thereafter. You only have to look at the history of Apple’s Jade for a prime example of a horse that just cannot convert terrific form into Prestbury Park success. Let’s look at some horses that could be seen in the winning enclosure during the Aintree Grand National Festival – before you forget all about them. Ucello Conti ran a disappointing fifth in the Foxhunter’s at Cheltenham. But, a lot of horses ran a poor race that day. 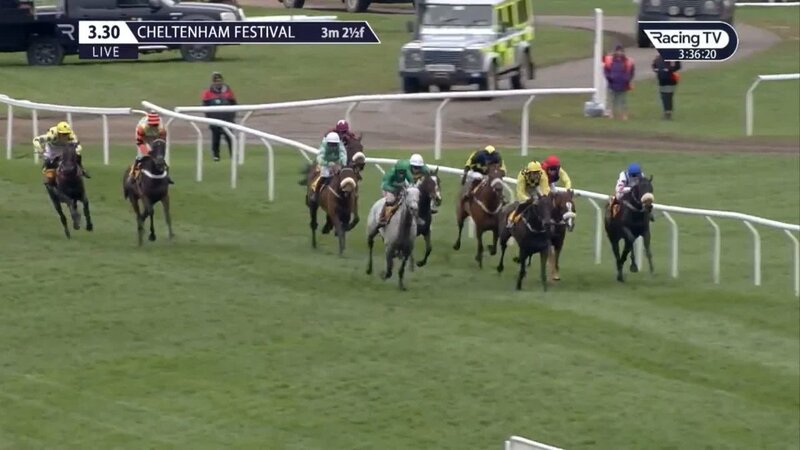 The ground was officially good to soft, but it looked like a hard slog for all concerned with 15 of the 24 horse field either pulled up or unseated. It would be harsh to classify Vintage Clouds as a Cheltenham loser but after Danny Cook riding him prominently for most of the Ultima Handicap Chase, he was quickly ridden with a few fences left after travelling like a dream. We know Vintage Clouds has the stamina for Grand National races, finishing third at last year’s Scottish Grand National. There’s always seems to be more coming from this consistent horse and an each-way flutter is hard to resist. A story of what might have been at Cheltenham, Buveur D’Air was travelling in his usual nonchalant style in the middle of the pack with seemingly little issue. Apple’s Jade ran out of steam (again) but Laurina looked to be going okay. After the race, Ruby Walsh commented that Laurina travelled poorly and she was out of contention. Obviously, Buveur D’Air fell and failed to complete. With no Apple’s Jade or Laurina in the Aintree Hurdle, it looks up to Buveur D’Air to return to winning ways. He’ll be a short price around 10/11 but rightfully so. Melon is next best in the market and Faugheen and Supasundae are always dangers, but it would be far from a shock to see Buveur D’Air back in the winner’s enclosure. Bristol De Mai proved he is not just a Haydock specialist, a mud specialist or any other of the labels he has incorrectly been given. He ran a great third in the Cheltenham Gold Cup but found the extra 2 furlongs too much. The Aintree Bowl is over his preferred trip, and while it pains me to say it, Aintree is more like Haydock than Cheltenham and it could be in his favour. Of course, Bristol De Mai will still need to see off favourite, Clan Des Obeaux, but we know he is beatable. There’s also the small matter of Kemboy who was backed and backed in the Gold Cup, only to unseat his rider when going okay. You may not get rich backing these horses, but there’s certainly no reason why they can’t reverse their Cheltenham form. 📺Al Boum Photo a brilliant winner of the 2019 Cheltenham Gold Cup! What a race and what a moment for Willie Mullins.